Our friend and member of the jamandahalf family Lydia Cruz got in touch with us about a contest she's in to be a host at one of her local radio stations, and we're happy to help her out however we can. Lydia has a lot of great musical knowledge (even though she admits her love for Justin Bieber in the video below), and we have no doubt she'd kick nothing but the juiciest of jams for the fine people of Seattle. Check out her audition video below (she's in the final 5), and vote for her here. While you're at it, check out the post she wrote for us last February about a jam that quickly made its way up my most played list, Washed Out's "New Theory." When Ernest Green moved back home with his parents in June of last year, no one could have predicted that only a few months stood between obscurity and buzzworthy musicianship. Adults living at home face plenty of stigmatism, and America doesn’t generally crown pop stars bunking down in their childhood bedrooms. But even artists can crave the comforts of home, and the move would ultimately prove itself a renaissance. Despite Green’s previous experimentation with ambient, dance, and even hip-hop music, it was the return to his rural Georgian roots that sparked his production of lo-fi synthpop, reflecting both the extent of his talent and environmental influence. Ernest quickly settled on the new, nonsensical moniker “Washed Out”, and with the help of a small Charleston-based record label called Mirror Universe, he released a limited amount of material on (wait for it) cassette. Just like Bon Iver/Justin Vernon was inspired by an isolated Wisconsin cabin (For Emma, Forever Ago, 2008), and Jason Lytle was enkindled by his relocation to Montana (Yours Truly, the Commuter, 2009), Washed Out quickly became the artistic reflection of a laidback, peach-filled, Georgian summer. With a sonically distinct nod to the eighties - a tasty acid groove that hits like a soothing dose of Nyquil and recalls a refreshing, rolled-down window breeze – Washed Out breathes new life into the best part of the John Hughes era. 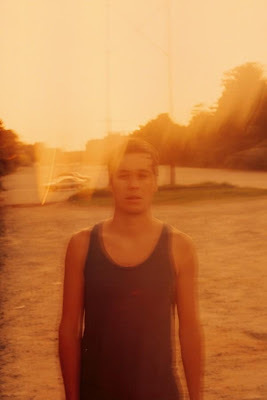 I have to single out “New Theory” from Washed Out’s Life of Leisure EP as a truly influential jam. The lyrics are simple, yet powerful. The rhythmic/synth production grabs a hold quickly but clandestinely, lulling the listener into a vivid, dreamlike state of auditory adventure. And like any great dream, you, the participant fear the inevitable ending, the all too-rapid return to consciousness.